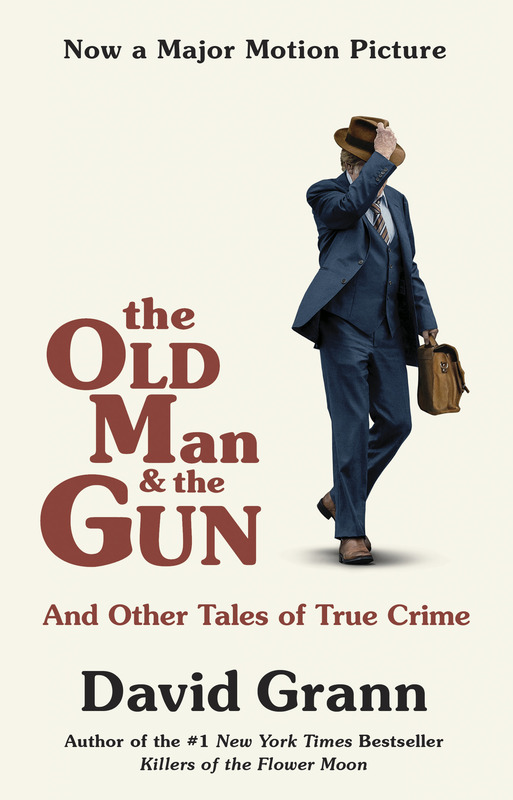 Now a major motion picture starring Robert Redford and Sissy Spacek, The Old Man and the Gun is here joined by two other riveting true crime tales. “The Old Man and the Gun” is the incredible story of a bank robber and prison escape artist who modelled himself after figures like Pretty Boy Floyd and who, even in his seventies, refuses to retire. “True Crime” follows the twisting investigation of a Polish detective who suspects that a novelist planted clues in his fiction to an actual murder. And “The Chameleon” recounts how a French imposter assumes the identity of a missing boy from Texas and infiltrates the boy’s family, only to soon wonder whether he is the one being conned. 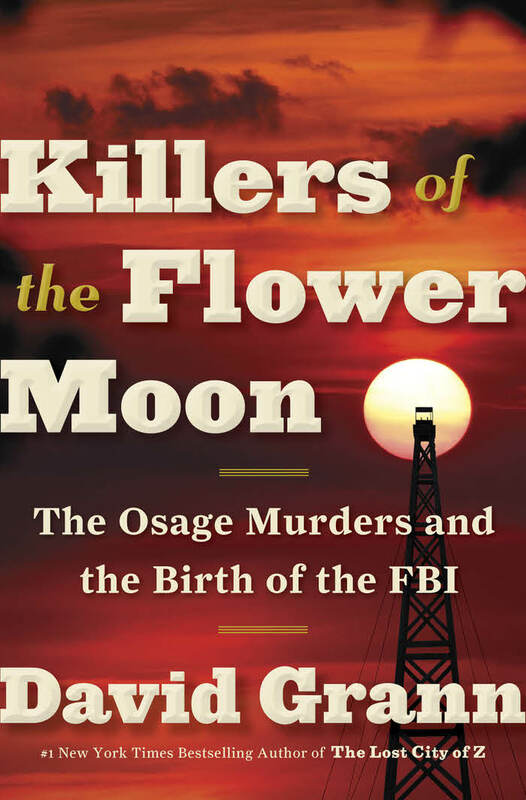 In this mesmerizing collection, David Grann shows why he has been called a “worthy heir to Truman Capote” and “simply the best narrative nonfiction writer working today,“ as he takes the reader on a journey through some of the most intriguing and gripping real-life tales from around the world. Worsley felt an overpowering connection to those expeditions. He was related to one of Shackleton’s men, Frank Worsley, and spent a fortune collecting artifacts from their epic treks across the continent. He modeled his military command on Shackleton’s legendary skills and was determined to measure his own powers of endurance against them. He would succeed where Shackleton had failed, in the most brutal landscape in the world. In 2008, Worsley set out across Antarctica with two other descendants of Shackleton’s crew, battling the freezing, desolate landscape, life-threatening physical exhaustion, and hidden crevasses. Yet when he returned home he felt compelled to go back. On November 2015, at age 55, Worsley bid farewell to his family and embarked on his most perilous quest: to walk across Antarctica alone. David Grann tells Worsley’s remarkable story with the intensity and power that have led him to be called “simply the best narrative nonfiction writer working today.” Illustrated with more than fifty stunning photographs from Worsley’s and Shackleton’s journeys, The White Darkness is both a gorgeous keepsake volume and a spellbinding story of courage, love, and a man pushing himself to the extremes of human capacity. A grand mystery reaching back centuries. A sensational disappearance that made headlines around the world. A quest for truth that leads to death, madness or disappearance for those who seek to solve it. The Lost City of Z is a blockbuster adventure narrative about what lies beneath the impenetrable jungle canopy of the Amazon. After stumbling upon a hidden trove of diaries, acclaimed New Yorker writer David Grann set out to solve “the greatest exploration mystery of the twentieth century”: What happened to the British explorer Percy Fawcett and his quest for the Lost City of Z? In 1925, Fawcett ventured into the Amazon to find an ancient civilization, hoping to make one of the most important discoveries in history. For centuries Europeans believed the world’s largest jungle concealed the glittering kingdom of El Dorado. Thousands had died looking for it, leaving many scientists convinced that the Amazon was truly inimical to humankind. But Fawcett, whose daring expeditions helped inspire Conan Doyle’s The Lost World, had spent years building his scientific case. Captivating the imagination of millions around the globe, Fawcett embarked with his twenty-one-year-old son, determined to prove that this ancient civilization – which he dubbed “Z” – existed. Then he and his expedition vanished. Fawcett’s fate—and the tantalizing clues he left behind about “Z” –became an obsession for hundreds who followed him into the uncharted wilderness. For decades scientists and adventurers have searched for evidence of Fawcett’s party and the lost City of Z. Countless have perished, been captured by tribes, or gone mad. 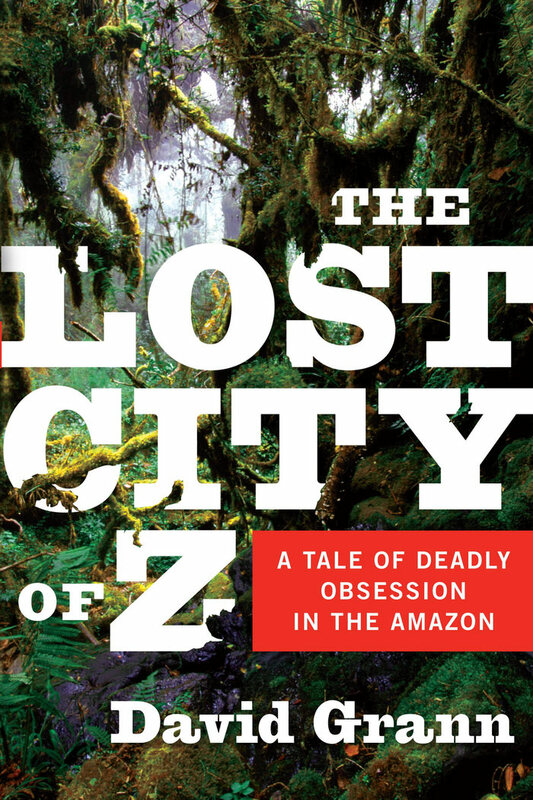 As David Grann delved ever deeper into the mystery surrounding Fawcett’s quest, and the greater mystery of what lies within the Amazon, he found himself, like the generations who preceded him, drawn into the jungle’s “green hell.” His quest for the truth, and his stunning discoveries about Fawcett’s fate and “Z,” form the heart of this enthralling narrative. 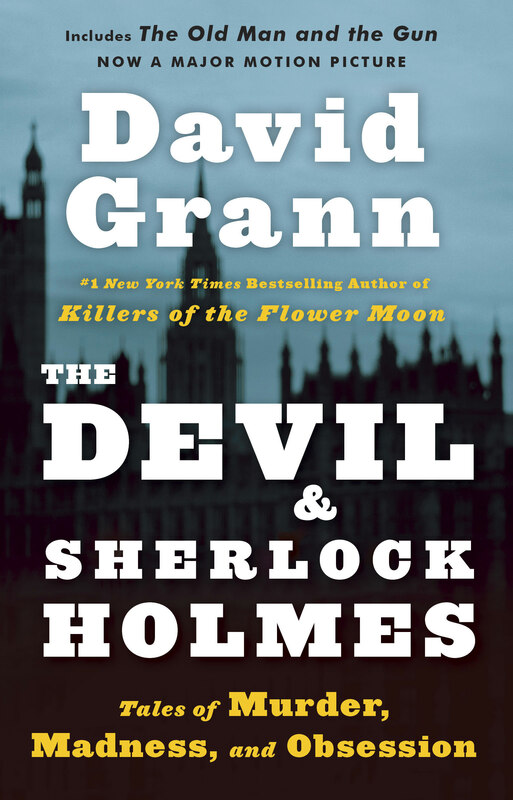 Sherlock Holmes once said that “life is infinitely stranger than anything which the mind of man could invent.” In that same spirit of curiosity and discovery, David Grann sets out to solve a dozen real-life mysteries in these hypnotic accounts. 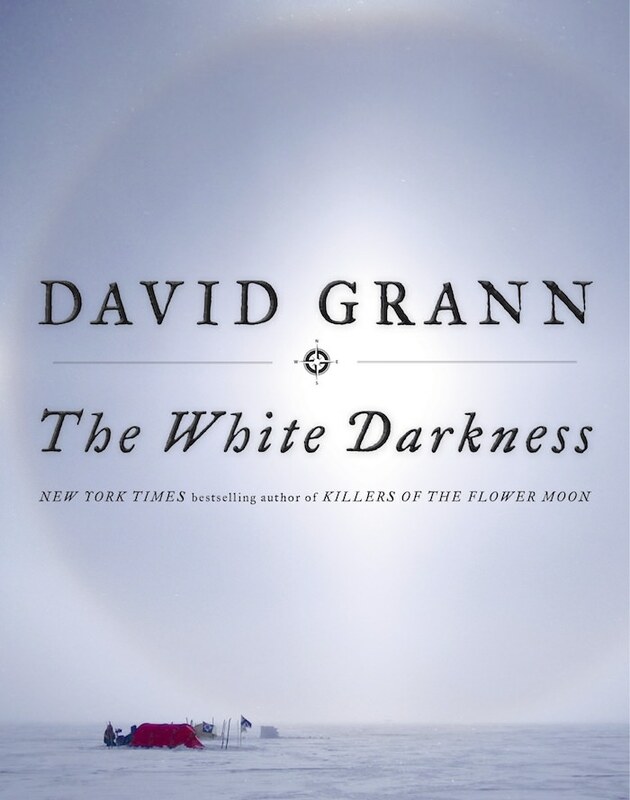 Whether he’s reporting on the infiltration of the murderous Aryan Brotherhood into the U.S. prison system, tracking down a chameleon con artist in Europe, or riding in a cyclone-tossed skiff with a scientist hunting the elusive giant squid, David Grann revels in telling stories that explore the nature of obsession and that peel back hidden, often dangerous realms. This breathtaking collection includes stories about the foremost expert on Sherlock Holmes who is found dead in mysterious circumstances, about an arson sleuth trying to prove that a man about to be executed is innocent, and about sandhogs racing to complete the brutally dangerous job of building New York City’s water tunnels before the old system collapses. Throughout, Grann’s accounts display the full power—and often the perversity—of the human spirit. Compulsively readable, “The Devil and Sherlock Holmes” is a brilliant mosaic of ambition, madness, passion, and folly.